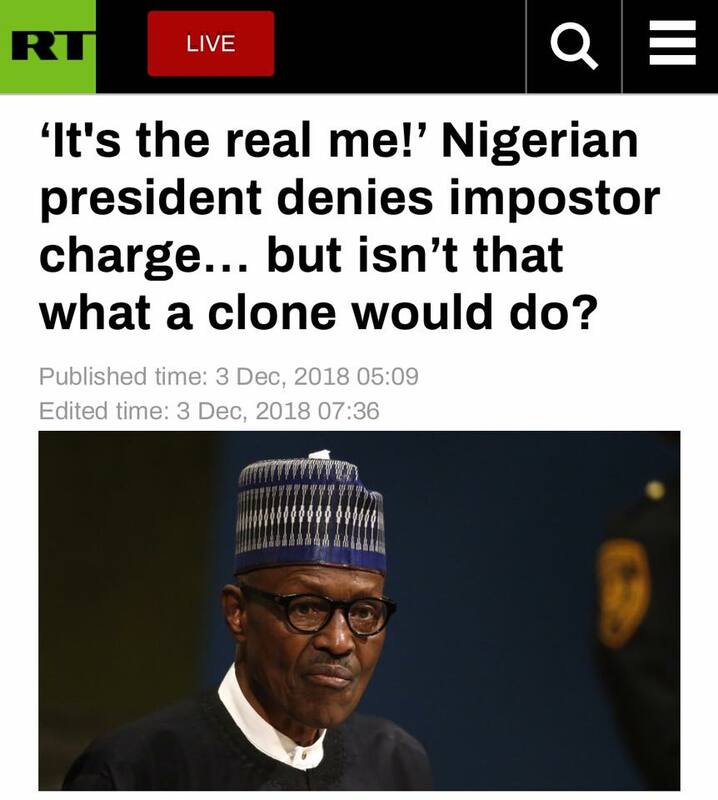 An attempt by Nigeria’s president to reassure his countrymen that he is alive, and wasn’t replaced by an impostor during a long medical leave, failed to convince everyone because that’s exactly what a clone would say, isn’t it? 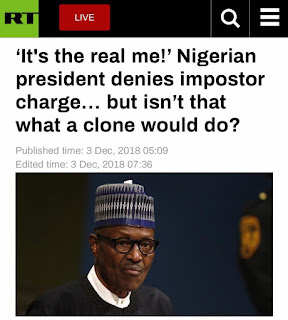 Rumors of a double or a clone ruling the country instead of President Muhammadu Buhari have plagued the minds of Nigerians for roughly a year ever since the 75-year-old returned from his medical treatments in the UK, looking all reborn. When publicly confronted and asked if he was an impostor by a member of the Nigerian community in Poland, Buhari finally addressed the rumors, slamming them as irresponsible, but reassuring the audience he was the real deal. It’s the real me, l assure you. clone or clone, it is u we want. Ur clone is far better than them Wen they are in power. Remove your cap for once let's see the bald head of Buhari we knew in 2015. Let's have presidential media chat which you've bn avoiding. Which presidential debate are you planning to be part of? When wl you tell us the much you know Nigeria, ruling by proxy is your modus, why? I wish I was the President for just this moment. I would have said: "Yes, it is true that I was cloned. This is Jibrin speaking and I take telepathic directives from Buhari. Conspiracy theories about the president sprouted like mushrooms after Buhari took a number of trips to the UK last year to seek medical treatment for an undisclosed malady. While the presidency repeatedly rejected rumors that the head of state was terminally ill or dead, failure to disclose his illness prompted rumors that the president could have been cloned. Another rumor suggests that the top seat is currently occupied by an impostor, namely an imaginative Jibril Aminu of Sudan. This Jubril Al ‘Sudani conspiracy has finally crept into mainstream media. No longer a social media foible. Well done Nnamdi Kanu for successful showing that Nigeria is indeed a crazy place. Tuehhh! Make I pass abeg. Don’t come here with that nonsense story pls. Take a look at his hands and fingers, does it look 80 years old sick Buhari finger,No ! Can you see we have two Buhari here? One is late Buhari and Jubril from Sudan when was on tourist visit before he now permanently occupy Aso rock as an impostor...#SupportBiafraReferendum !!! #Yorubas are a bunch of liars, cheats & born cowards. This is clearly seen in their dastardly act of shying away from the #truth that @MBuhari is dead & impersonated by #Jubril Aminu from #Sudan.